"The Creative, Fun Math Worksheets"
Adding Decimals 1 Riddle Tenths place only. Adding and Subtracting decimals Riddle Up to 2 decimal places. Dividing Decimals 1 Riddle Positive only. Up to three decimal places. Dividing Decimals 3 Riddle Up to 3 decimal places. Multiplying decimals Riddle Decimal*decimal. To the hundredths place at most. Multiplying decimals number puzzle Number Puzzle Positive only. Up to 3 decimal place values. Multiplying decimals with integers Riddle Decimals up to 2 places. Up to 3 digit integers. 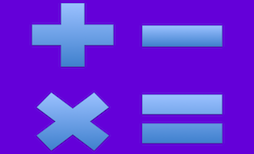 Place Value Standard Students will determine place value for decimals from the hundred millions to hundred-thousandths. Rounding Decimals Riddle Students will round in the tenths and hundredths place only. Rounding Decimals 2 Riddle Students will round from the hundreds to the hundred-thousandths place. Rounding Decimals to Nearest Unit Quotes Students will round to the nearest unit. Subtracting decimals from integers Riddle Positive Only. Up to 2 decimal places.